First you need to understand the structure of fabric. I'm only referring to fabric which you would normally use for bags like cotton, linen cotton, cotton drill, cotton canvas, nothing with nap or are very stretchy like knits. 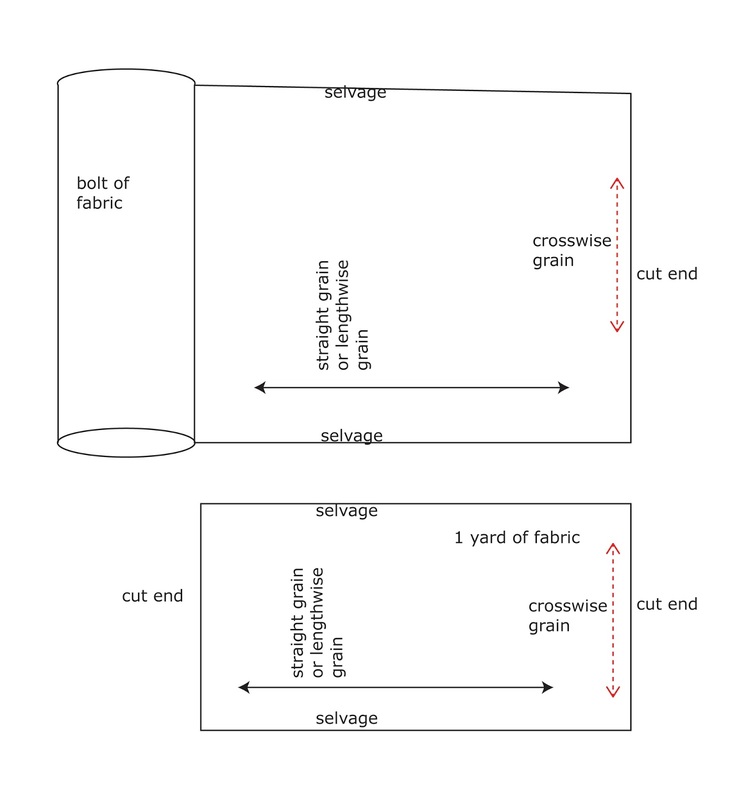 This simple diagram illustrates a yard of fabric you buy cut from a bolt. When you have selvages from a fabric, it's easy to find the straight grain. 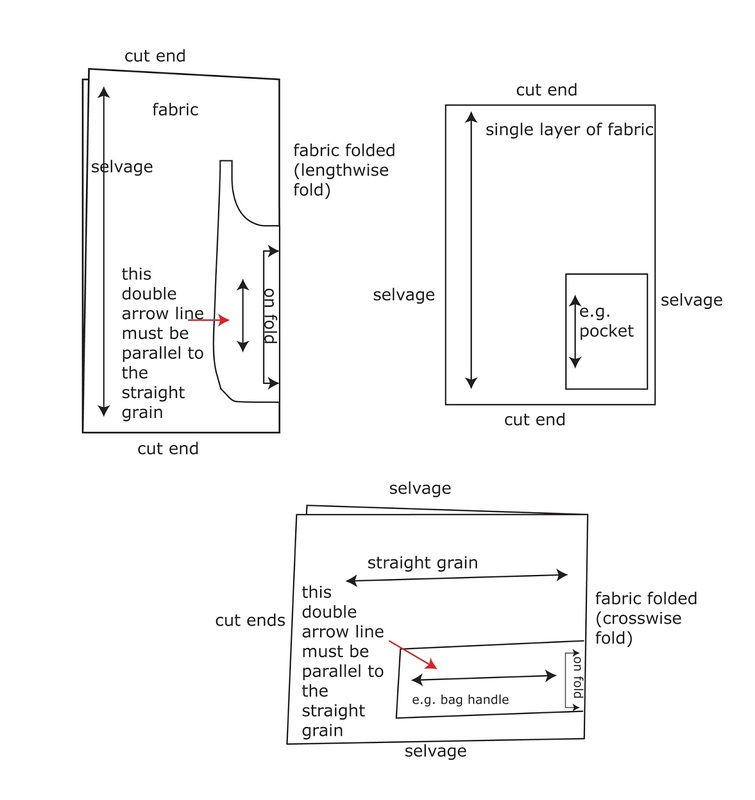 The diagram above shows 3 common ways you place pattern piece on fabric. The double arrow line and "on fold" are words you want to take note of. Always place the pattern piece with the double arrow line at equal distance from the straight grain. "On fold" means you must fold the fabric. 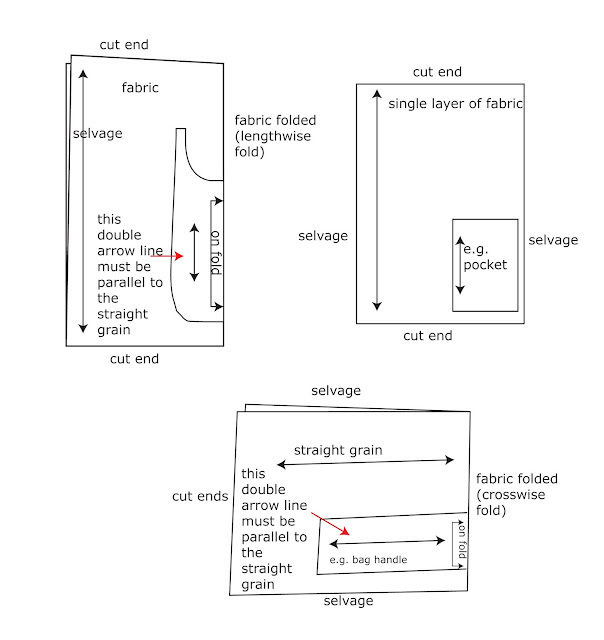 What happens if a piece of fabric does not have selvage? You can do the stretch test. 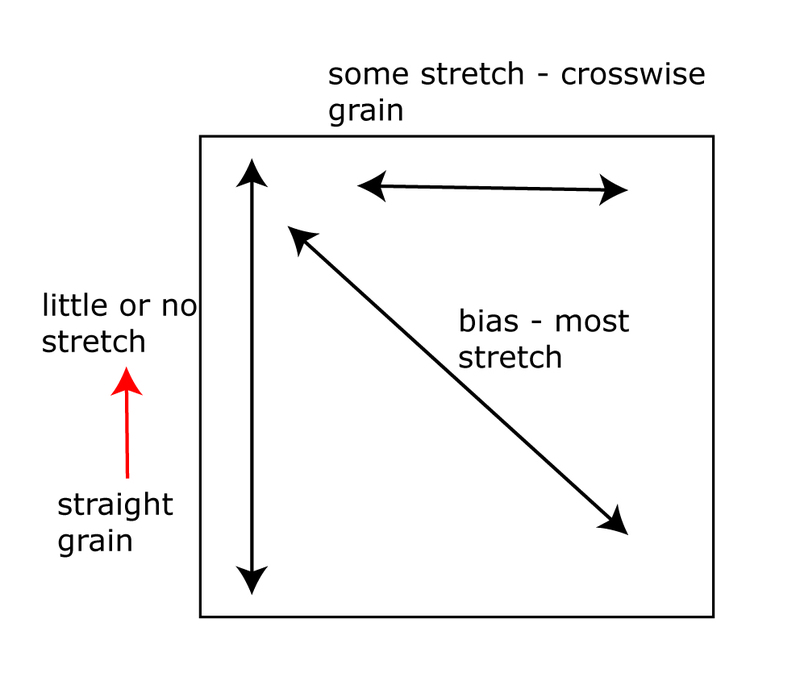 The least stretchy grain is the straight grain. On some fabric like upholstery fabric, there is very little difference in the straight grain and crosswise grain. In that case I would look at the fabric print and use the print to help me decide which should be the straight grain. 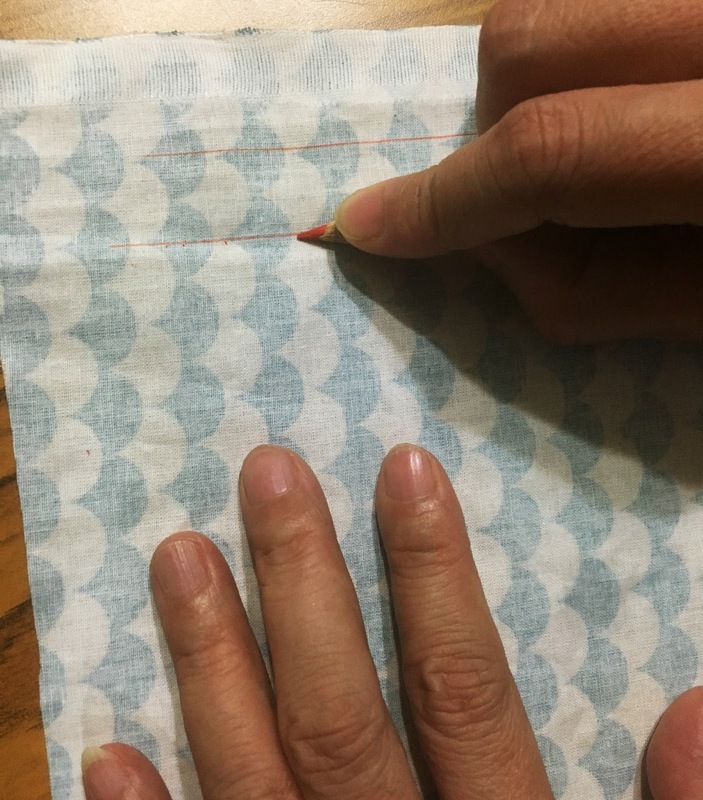 Tip: You can try dragging a pencil across the straight grain of your fabric. 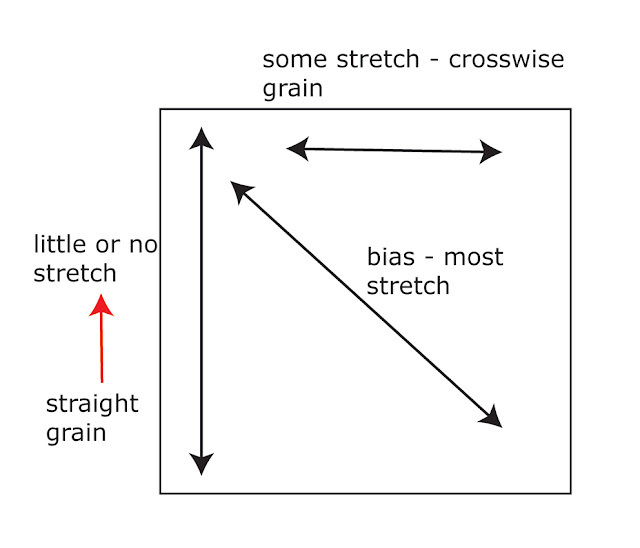 That line is your straight grain.